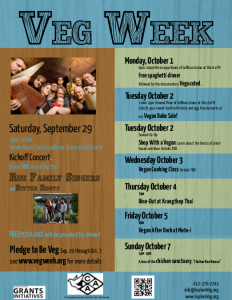 Help us get the word out about Veg Week! We need your help to spread the word about compassionate eating. Saturday, September 15, from 11 am to 3 pm at the CAA Campus Office. Wednesday, September 19, from 6 pm to 9 pm at the CAA Community Office. Monday, September 24, from 6 pm to 9 pm at the CAA Campus Office. Pledge to be Veg and invite your friends to do the same. 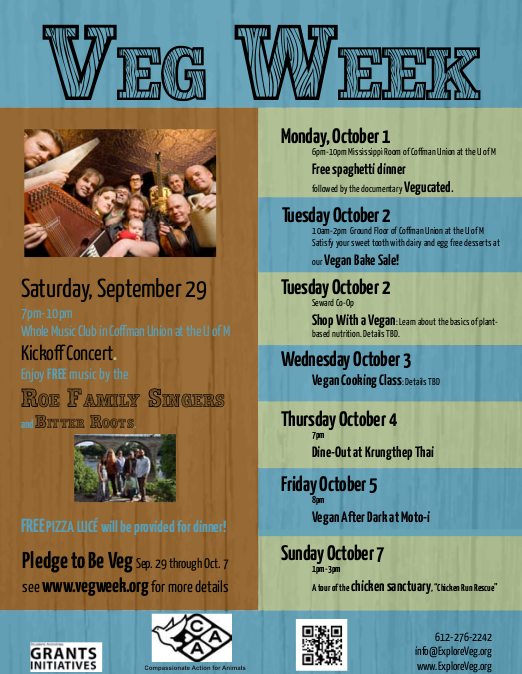 Come to the Veg Week events and bring a friend.